Why the size and location of a subpanel really matter. Your home is powered from the electric company via the service entrance. Wires feed an electric meter and quite often a disconnect before entering your home's electrical panel. This panel may be a fuse panel or a circuit breaker panel. These panels have certainly changed over the years. Either way, its job is to protect the home's wiring from overload via either fuses or circuit breakers. The fuses are designed to take a predetermined amount of current and then the fuse link will melt. That's why we say the fuse blow and circuit breakers trip. Circuit breakers, on the other hand, have predetermined limits also, but trip when they exceed the limit and are able to be reset. This makes circuit breakers reusable, while fuses are a one-time thing. Sizing subpanels to the need of your anticipated load can be tricky. You'll need to consider the amount of available power load you'll need and what the main service has to offer. 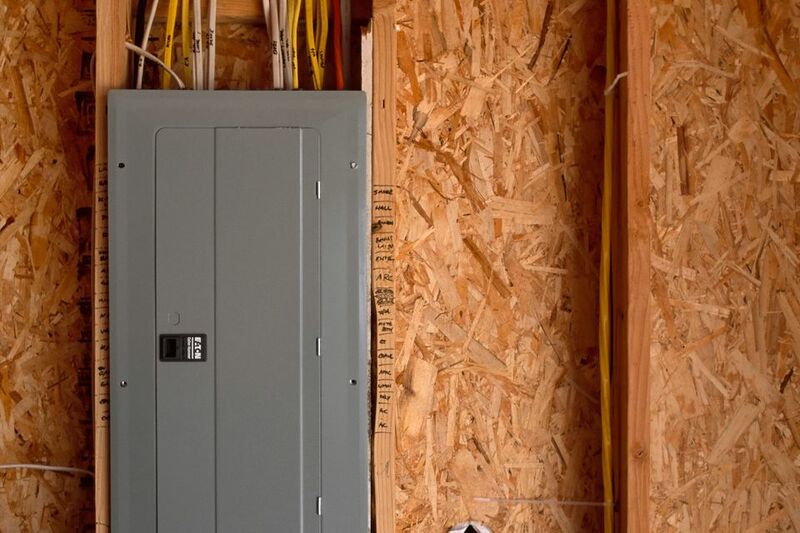 For instance, If you have a 200-amp main service, you'll have no problem adding a 100-amp subpanel to feed a shed, garage, barn, etc... or a 60-amp subpanel to power lighting and general-use outlets in another section of your home. But if you only have a 60-amp service, to begin with and want to add a 60-amp subpanel, you'll have to upgrade your main panel first to allow such a distribution addition. When adding a sub panel, I suggest adding at least a 12-slot circuit breaker panel. This should provide ample room for lighting and general circuits. However, if you plan to add many 240-volt appliances like central air conditioning, baseboard heaters, water heaters, ovens, ranges, or 240-volt window air conditioners, then a circuit breaker panel with more opening may be required, as well as a circuit breaker panel with more openings and a larger main breaker rating. Subpanels provide a convenience of lessening circuit wiring runs to a minimum by centrally locating the panel, which also lessens the voltage drop that would occur on smaller wires over a long distance. You can see the advantage of running a larger set of panel feeder wires to the area the power distribution is needed, rather than run multiple wires long distances. Subpanels and main panels alike have specific rules that need to be followed according to the National Electrical Code (NEC). All electrical panels must have a minimum of 36 inches of clearance in front of the panel, 30 inches of clearance across the face of the panel, and a minimum of 78 inches above the floor. If you can picture an invisible phone booth with an electrical panel on one wall, you'll have a good idea of what is required. Now the NEC goes a little farther in requirements than that. The panel must be mounted in a dry location and have easy access to it. Only attach a panel in an area that is not exposed to flammable materials and never mount it where it is exposed to moisture like a bathroom or indoor swimming pool area or the like. One last tip about adding a sub panel, whenever dealing with electricity, always turn off the power before you begin any project. If the power is off, you won't get shocked. It only takes a minute to shut off the power, but it only takes a split second to get shocked and possibility injured from contact with electricity. Don't become a statistic. Think about it, it will take you longer to tell me why you won't shut off the power to the panel than to actually turn it off, walk back to the project, and be safe. Practice safety every day and stay alive! Does Your Home Need an Electrical Subpanel?